Young men face numerous challenges when entering recovery that often inhibit them from accepting help. These challenges are both emotional and environmental, but it’s important to acknowledge and address these issues if we are to help young men find long-term recovery. If I had to pick one key feature that sticks out in my work with young men, it has been divorce or a conflict in the home. A child’s issues might not be apparent while his parents are going through the divorce, but that doesn’t mean they’re not there. Problems often only begin to manifest in later years when young men start establishing their own meaningful relationships. That’s when the impact of what they saw in their “home laboratory” really affects how they experience life in general. The other challenge many young men face is socialization. From a very young age, men, in general, are socialized to not accept help, to tackle challenges on their own, and to not express emotion. Often, young men are told that the only acceptable emotion is anger, and lashing out is the only way to deal with pain or difficulty. 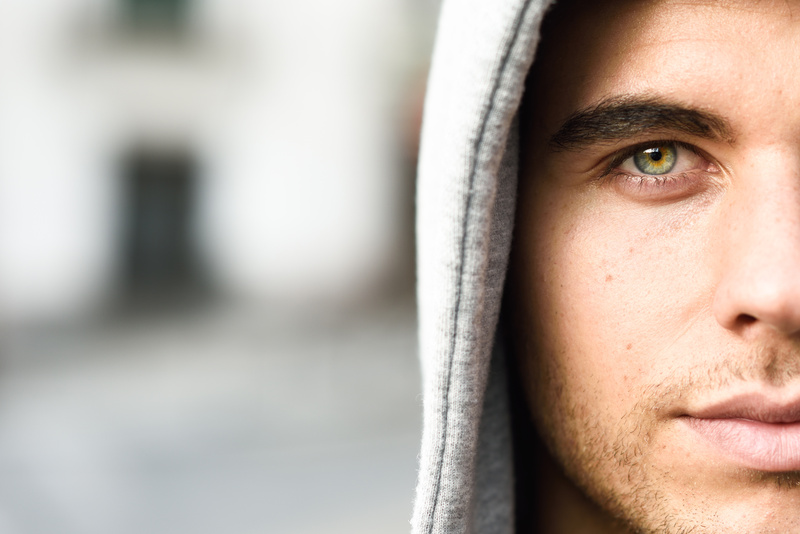 These notions keep many young men from entering the recovery atmosphere which requires asking for help, being vulnerable, and expressing feelings. My own experience with addiction and long-term recovery gives me a unique insight into what many young men go through as they transition to recovery. When I was engaged in active addiction, I often looked in the mirror and asked myself, “Why can’t you do something about this? Why can’t you stop? What’s wrong with you?” When I contemplated hurting myself because of my incapacity to control this one aspect of my life, it was devastating to me as a man. It was humiliating and I felt broken, like there was something wrong with me. But eventually I came to realize that people are allergic to nuts, mold, and countless other things, and I simply have an allergy to mind-altering substances. I have an abnormal reaction when I put those substances into my body. It’s somewhat old-fashioned language, but it made sense to me. If I could embrace this about myself and acknowledge that even Superman has kryptonite, then I could stop vilifying the substances themselves and focus on my reaction to them. Substances are inert, there’s nothing wrong with them. It’s our reactions and the consequences of using those substances that creates problems. I try help young men understand that not only do I relate to what they’re going through, but I am here to truly listen to them, respect them, and advocate for their success. In my years as a counselor, I have had the privilege of seeing countless young men transition from a place of hopelessness in active addiction, to a recovery marked by joy and optimism. I often start by asking young men what they want out of life, where they want to go, and then asking how they can get there. I recall one young man who had a vision for his life, but understood that there were barriers in place. He told me adamantly, “Rob, I guarantee you 1,000 percent that drugs are not the problem.” I told him I understood and we continued on for about six more sessions before he asked that we meet with his family. When we were all together, he broke down crying and said, “I think I need to stop using alcohol and marijuana, otherwise I’m never going to get anywhere.” It was an incredibly rewarding experience to witness this young man change his perception of life and embrace his journey toward recovery. It was the kind of transformative experience we hope all of our clients achieve when they come through the doors at Family Recovery Resource Experts. Know a young man in need of help? Email us at info@frre.net or schedule a consultation with us today.